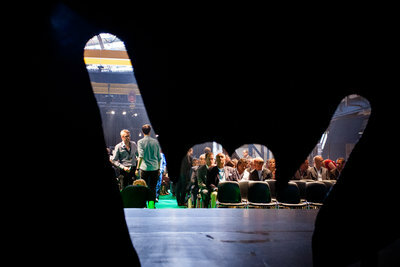 Amsterdam-based Rockstart Accelerator opens applications for the next Web & Mobile Program starting late February 2015 and officially announces its results. Launched in 2012, the acceleration program invested in 39 startups in the Web & Mobile and Smart Energy sectors which have raised a total amount of 12.5 million euros ($15.7M) and created more than 250 full-time jobs. 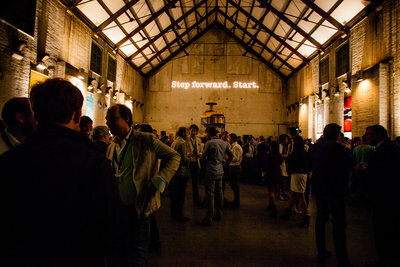 Among the alumni are Peerby, Wercker and 3D Hubs. The latter announced a $4.5 million Series A round lead by Balderton Capital last September. For the 2015 edition, Rockstart is looking for the next 10 startups with disruptive and highly scalable international businesses (focus on marketplaces, Saas, P2p, etc.). The program is open for applications until December 10. AMSTERDAM NOVEMBER 19 - Amsterdam-based Rockstart Accelerator opens applications for the next Web & Mobile Program starting late February 2015 and officially announces its results. Launched in 2012, the acceleration program invested in 39 startups in the Web & Mobile and Smart Energy sectors which have raised a total amount of 12.5 million euros ($15.7M) and created more than 250 full-time jobs. Among the alumni are Peerby, Wercker and 3D Hubs. The latter announced a $4.5 million Series A round lead by Balderton Capital in September. For the 2015 edition, Rockstart is looking for the next 10 startups with disruptive and highly scalable international businesses (focus on marketplaces, Saas, P2p, etc.). The program is open for applications until December 10. Rockstart is also making changes in the acceleration program by shortening the intensive program from 200 to 150 days and creating an additional alumni program. One of the elements of the alumni program is a sponsored international program to San Francisco, New York or London in which the startups can participate within their first 1000 days of existence. “We learned a lot from our previous cohorts and decided to create a shorter format to keep a higher momentum during the program. We expect that the combination of a more focused setup, our amazing mentor network and new alumni program will lead to even higher growth of our companies”, explains Rune Theill, Program Director of Rockstart Accelerator. The program offering includes €15,000 ($20,000) in cash investment, a service package of €200,000 ($250,000), six months office space at the biggest startup hub of Amsterdam among other 50 startups as well as legal and fiscal support. 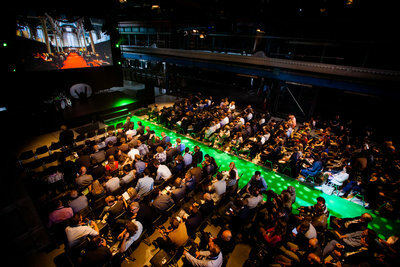 “Rockstart Accelerator was 10 out of 10 for us. We received amazing support with great mentoring, advisors, office space and access to investors. 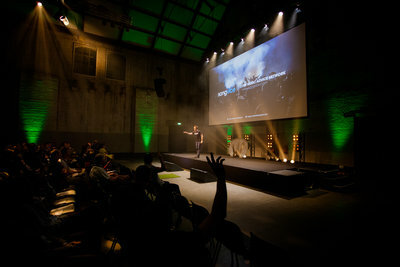 Together with the awesome Rockstart team and our investors we were able to push 3D Hubs to where we are today”, says Brian Garret, co-founder of Rockstart Accelerator 2013 alumnus 3D Hubs, the world's largest and fastest growing network of 3D printers with over 9,500 printers in 140 different countries. “Our Alumni startups are growing extremely fast, and we saw the need to bring more structure to more effectively support the startups in their international ambitions and leverage the network effects of this global community with founders of 22 different nationalities”, comments Rune Theill on the announcement of the Alumni Program. 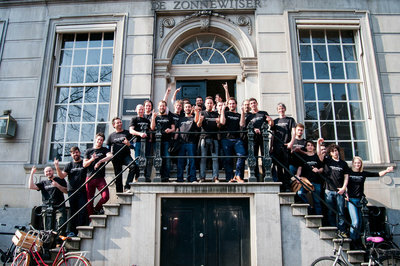 Since the launch in 2012, Rockstart Accelerator has accelerated 39 startups in four batches. To date 72% of the web & mobile startups have attracted funding from investors such as Greylock Partners, Balderton Capital, Notion Capital, Vitulum Ventures and other renowned European and American angels. 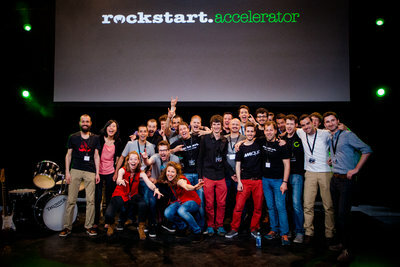 Rockstart Accelerator is a part of Rockstart which helps startups to be more successful in their first 1000 days through funding, housing, acceleration, events and more.